The term "literature" covers a grand spectrum of novels. Most of these names come from the classic masterpieces that have touched the hearts of readers for decades. While I cannot possibly list every name of every character in every book ever written, this is definitely a pretty good list to start with if you're in need of a literary moniker. Below this list, I have handpicked my favorites that I think would be darling for a modern day girl. 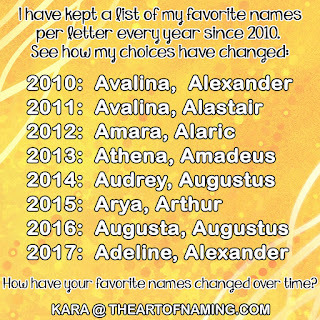 Then I went one step further and paired them with a couple middle name ideas and listed a few potential sibling name ideas to help you decide if you'd truly want to consider adding said names to your short-list. After all, that's the whole point of a list like this: to help you find the perfect name for your child! If you'd like to join in the fun, please feel free to choose your favorite names from the list and share a few middle name options that would make you fall in love with the name as a whole. And do tell if you already have any of these on your shortlist! As a side-note, I'm not very well-read so I wouldn't know if any of these names belong to dastardly and despicable characters or not. Please do your own research before fully committing to a name. It is always a good idea to know who your child's main "namesakes" are and what the general opinion is of said characters. If I had a bit more time in my daily life I would love to research these thoroughly but that may lead to hours and hours of Wikipedia page hopping. You know how it is. It would end up being faster to read each novel individually. ;) At the moment, I am simply choosing these names because I think they are beautiful in sound. 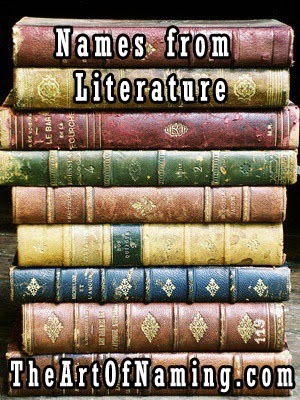 Don't forget to check out the list of Boy Names from Literature too! There's my top ten! What are your favorites from the list?